The Capital Wheel at National Harbor is offering free admission to all first responders on 9/11 to honor their service and to remember those who have given so much. 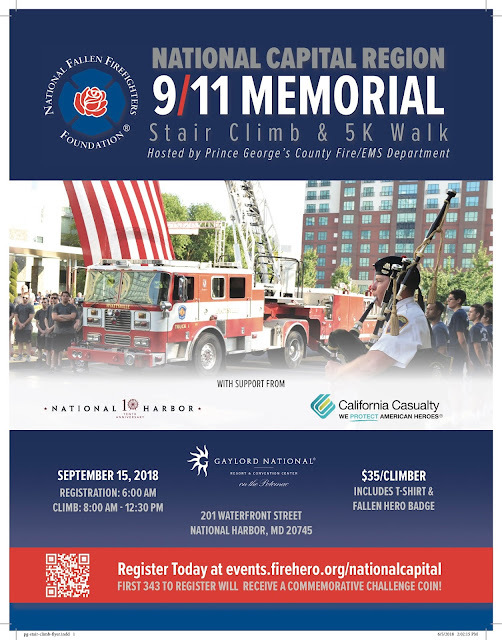 First Responders, to include Police, Fire, EMS, Dispatchers, Communications Operators and Military may ride The Capital Wheel for free on 9/11/2018. Friends and family members accompanying the First Responder may purchase tickets at the Military Discount price of $13.50 + tax. General Admission is $15.00 + tax. No reservations are required, simply present relevant ID at the Ticket Booth to receive the complimentary and discounted admission (friends and family must be present at time of purchase).